For those responsible for technology planning I thought I would provide a Ridiculously Simple View of Enterprise IT, particularly from a higher education lens. 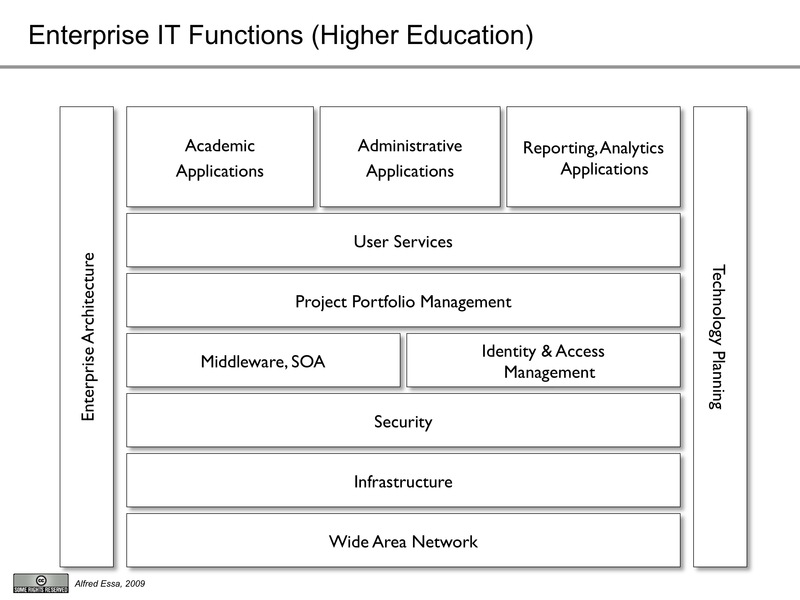 The diagram below is intended to provide the major functions of an enterprise IT organization in higher education. In future posts I will drill down in each area to illustrate key challenges for those involved with strategy and planning. I will also provide another diagram soon for what I call enterprise Business IT (eBIT). Most of us know that true technology planning is business planning. But how to represent that? Stay tuned.